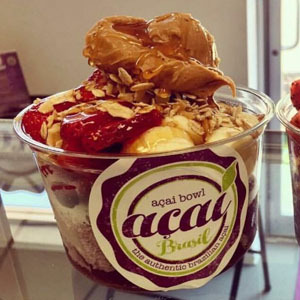 Acai bowls which feature the super superfood from Brazil — the buzz is 100 percent deserved. 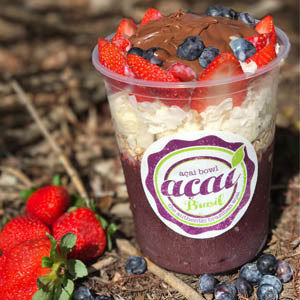 The acai berry has been heralded for an array of health benefits, but its strongest asset is definitely its taste. 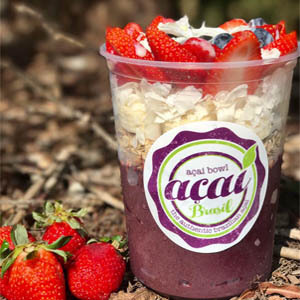 Acai is a delicious tropical fruit and when it comes served as a bowl it makes waking up a whole lot easier. 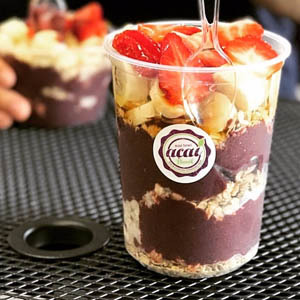 Acai bowls look like ice cream, almost taste like ice cream but it is 100% DAIRY FREE and make you feel good about your breakfast choice. 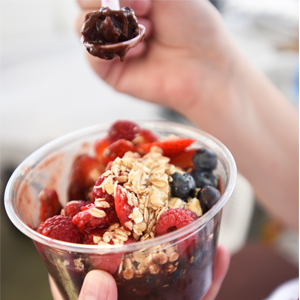 It’s what breakfast dreams are made of. 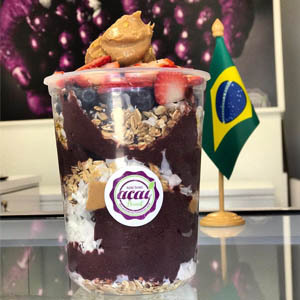 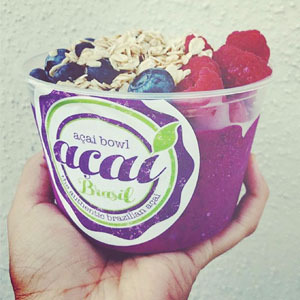 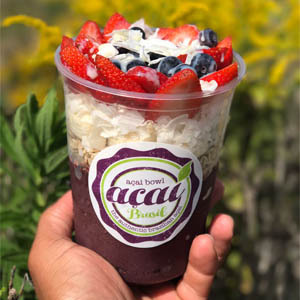 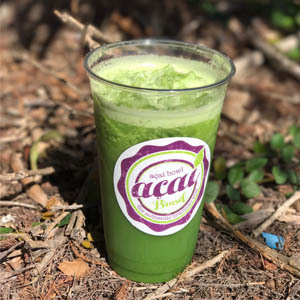 Our Acai Bowls are 100% fruit, we blend the acai berry with Guarana Syrup which it is another fruit known as energy booster and you can top it with oatmeal, fruit or peanut butter, and then you wolf it down with a spoon. 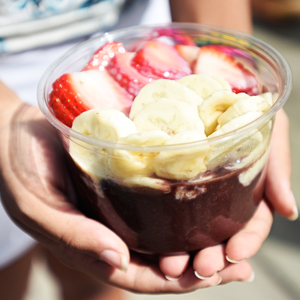 For breakfast. 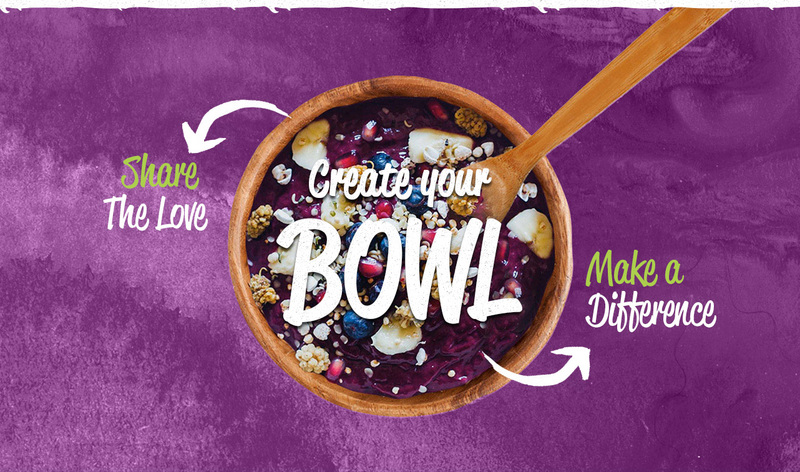 After eating a bowl, you will not only feel happily full (for hours) and have satisfied a sweet craving (no need to cave for a donut), you’ll have also done something that was good for you. 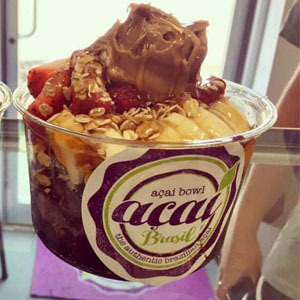 Win win.